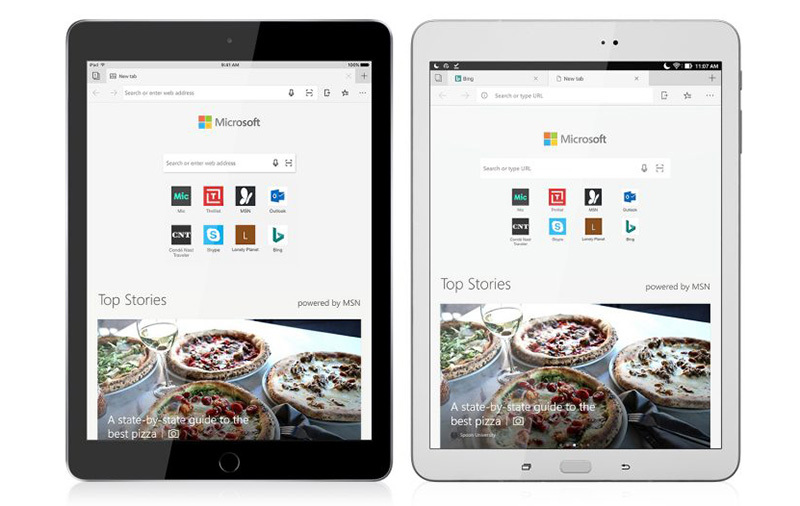 Just a few weeks after previewing its Edge browser for iPad and four months after releasing it for iPhone and Android phones, Microsoft has announced that iPad and Android tablet users can now download the browser from the respective app store. Designed for iPad and Android tablet users who use the Edge browser on Windows 10, key features include roaming passwords, which means your passwords are synced across devices (phone, tablet, PC); Continue on PC (e.g., you can open the page you’re looking on your mobile device right on your PC); and Hub View, which presents your favorites, reading list, etc. in one place.